After reading twenty glowing reviews of Steamcream, my head exploded. Okay so not really but you know me I am passionate about ingredients and you guys are giving me palpitations. 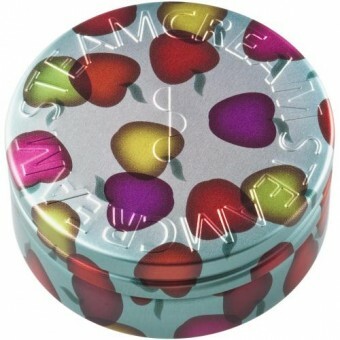 Beauty bloggers are like magpies to shiny objects, who can resist those cute decorative tins. Oh, how I laugh at the marketing spin, "All in One Natural Moisturiser", pull the other one. For me natural cream should not contain methylparaben, propylparaben and triethanolamine (linked to skin irritation). There is a lengthy explanation on the FAQ page about why you will find these ingredients in Steamcream and my response to that is other brands produce decent natural creams without them, I have a blog full of reviews to prove it. I stick my fingers up to Streamcream and their pathetic excuses, completely childish I know but if other companies can eliminate these ingredients then I do find Streamcream's explanation of their presence rather redundant. I thought the whole point of wanting natural, cleaner and greener products was the desire to eliminate this crap from our skincare? I know it's a personal choice, the evidence and research on ingredients can be sketchy, some will argue their face hasn't fallen off from using Steamcream so what's the fuss but I'd like to throw a different perspective into the bloggersphere. Do your research people, dig a little deeper and make an informed purchase. I think I made my feelings for Steamcream pretty clear, all that glitters is not gold, in other words it appears to be all about the tin design rather than the contents within. Well said Sarah! I'm glad I avoided this one as I avoid all products with parabens in now. I know that there are brilliant creams out there without them so I don't see the need to use them! I'm probably going to be the only one here who disagrees ;) Whilst I haven't used this product, I've thought about giving it a go because I love the look of all the other ingredients sans parabens and the triethanolamine. Most 'natural' creams still have to use some form of synthetic preservative e.g Potassium Sorbate. Whilst I haven't done enough research to argue the safety of parabens, I know that despite avoiding them in my skincare I'm probably still exposed to them in many other ways thanks to what the modern day lifestyle offers us. Sooooo, I don't think Steamcream are really the devil incarnate, although I'd probably still avoid it for the triethanolamine just incase. I've never heard of this product before but the ingredients in it (and sadly, many other skincare products) sound horrid. It's like vaseline. I cringe when I see people smearing that on their lips. I also hate it when I see companies stating their products as all natural when clearly they aren't. And when I made a lifestyle change to go for products with no harsh chemicals or which there is uncertainty as to their safety, or more importantly I have no idea what the gibberish on the label is then I just avoid it. So since I couldn't find any 100% natural products that I can buy at a physical store, I just scoured the internet to look for DIY ones. So far I have been able to make my own, but for things like cleansers DIYing everytime I cleanse my face has been really tiring, so I keep searching for a cleanser that isn't an oil cleanser. I think I've found 1 or 2, such as Homemade Naturals, the ingredients look all natural, but I get so nervous now about ingredients that I keep looking at them and feel there's a catch somewhere. I always get dissappointed when I see products saying 'natural' and then I see, for eg, Phenoxyethanol, which I know some products need it, but I personally don't want to have it in there. Is there companies that do 100% true natural products in all their products? Is Homemade Naturals 100% natural with no questionable ingredients? And apologies for the long post, the whole natural thing has made me a bit obsessive for a while. Truly natural skincare is a little harder to track down, lots of reading labels but it is out there. The problem is products with water need a preservative for safety reasons. Phenoxyethanol is such a grey area for many, me included, you will find products on my blog containing it. 100% natural products generally will be balms and oils. I'm happy to glance over ingredients lists if you are unsure or want a 2nd opinion, just email me and I'll try and assist.